12:00 Noon to 8 p.m.
10 a.m. to 12:00 Noon, 1 to 8 p.m.
12:00 Noon to 5 p.m.
10 a.m. to 12:00 Noon, 1 to 5 p.m.
Begins in September and runs through May. Stop in or call 472-4555 to sign up. The cost is $15 with a valid library card. You can view our collection, renew your checkouts, and place holds on books using our library system. 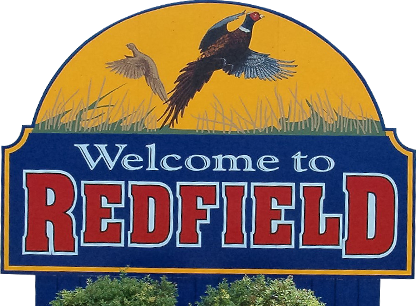 Click on Redfield Carnegie Library and follow the directions to set up your account. You will need your library card number. You can view our collection, renew your checkouts, and place holds on books. 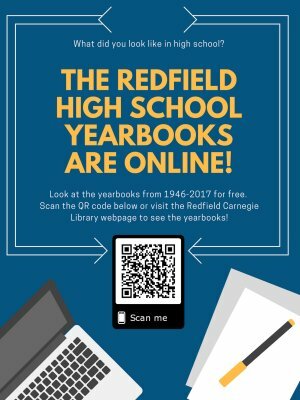 The Redfield High School Yearbooks have been digitized! You now have access to the high school yearbooks from 1946-2017. Thank you to Oklahoma Correctional Industries for digitizing these yearbooks. A valid library card is required to check out library materials. Patrons living outside the city limits must purchase a card for $10 per year per family. Books are checked out for two weeks. Overdue charge is $.10 per day per item. Magazines are checked out for one week. Three videos may be checked out per family. Overdue charge is $1 per day per video. Once library materials are overdue, a patron is unable to check out other materials until all materials are returned and the fine is paid in full. 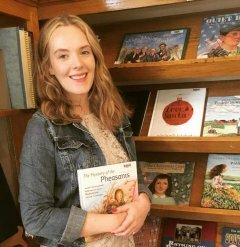 The Redfield Carnegie Library began as a reading club with members buying books to circulate. 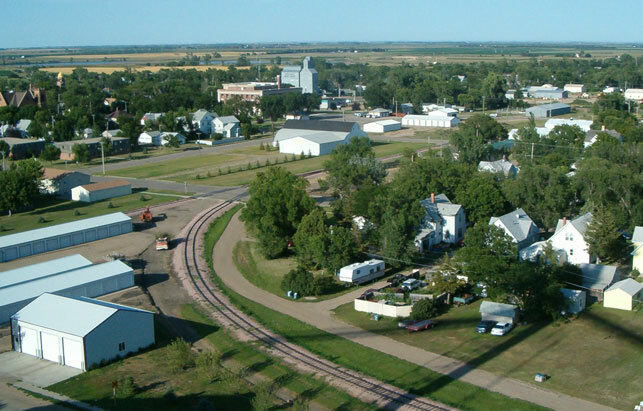 The city applied to the Andrew Carnegie Foundation for a $10,000 endowment, which was awarded in March 1902. Carnegie's money enabled the community to erect a majestic red brick building, with tan sandstone foundation, lintels and sills. The architect crowned his design with a domed cupola. The interior has beautiful oak columns and woodwork. Redfield city offices were contained within the library in the early years, the City Auditor serving as Librarian. In 2008 an addition resembling the size of the original building was completed. Part of the addition includes an elevator and community room. The entire building is now handicap accessible on both levels. 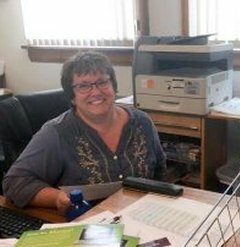 Still providing library service to the citizens of Redfield, the Redfield Carnegie Library has the distinction of being the oldest Carnegie in continuous use as a library in the state and contains over 27,000 volumes.